*Interest rates are subject to change without notice and do not constitute a commitment to make any loan at any specific rate. 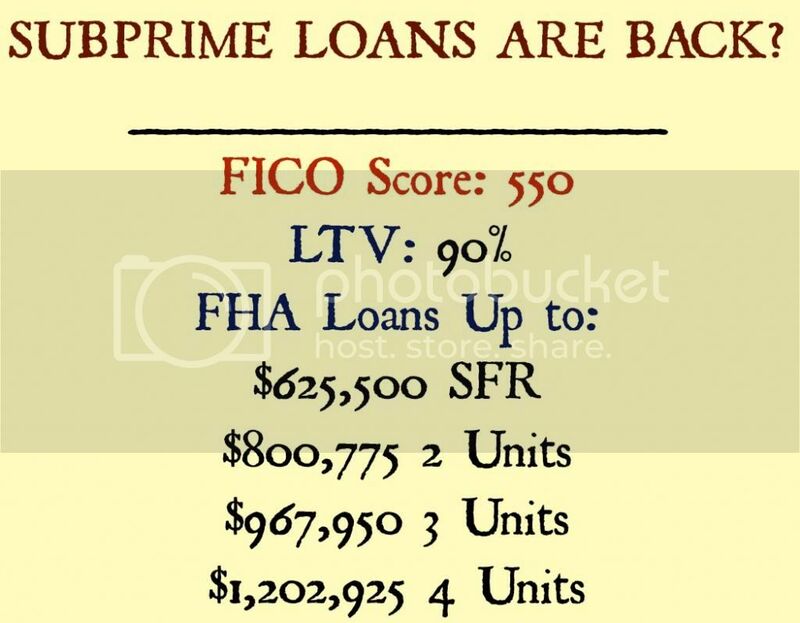 At least one of our lenders can go down as low as 580 fico with 3.5%down payment! History repeats itself. As before the meltdown, it is our government who is trying to help those who have less than stellar income and do not have money for the down payment.